The community of Laveen is located on the outskirts of Phoenix, southwest of the downtown area. It is currently home to approximately 7,100 residents, a number that is rapidly and consistently increasing. Interstate 10 runs close by, providing easy access to downtown Phoenix, allowing residents all of the amenities of Phoenix, while enjoying the small town atmosphere of Laveen. One of the large draws to the area is the scenery. The beautiful desert panorama, including views of South Mountain and the South Mountain Preserve, combined with the sunny Arizona climate, make Laveen a great place for outdoor activities, such as horseback riding, hiking, biking, and golf. As land becomes more and more scarce in the metro Phoenix area, large lots and preserved riding trails draw horse lovers to Laveen. 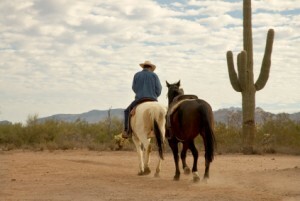 There are luxury homes in horse-friendly communities, such as Sunset Cove and Estrella Mountain View. In this area, you’ll find many custom built luxury homes, which feature large lots and equestrian amenities. An agricultural town, Laveen was named for an early settler of the 1880’s, Roger Laveen. Agriculture continues to be the primary economic focus for the community, with its abundance of land for crops such as alfalfa and cotton. The farmlands are being surrounded by new developments and shopping centers, yet Laveen maintains its rural atmosphere and charming character.